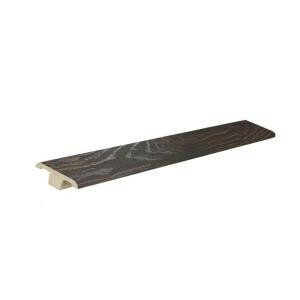 Accent your home with PID Floors Laminate T-Moldings, in Espresso Color. This Wall Base is 94 in. long and 1-5/8 in. wide and 1/2 in. thick. Matches with PID Floors Laminate Wood Floor Planks. Buy online PID Floors Espresso Color 13 mm Thick x 1-5/8 in. Wide x 94 in. Length Laminate T-Molding VLT02, leave review and share Your friends.